Funeral flyers are very useful for funeral and memorial events. They are an effective medium to convey messages to your invitees or guests. 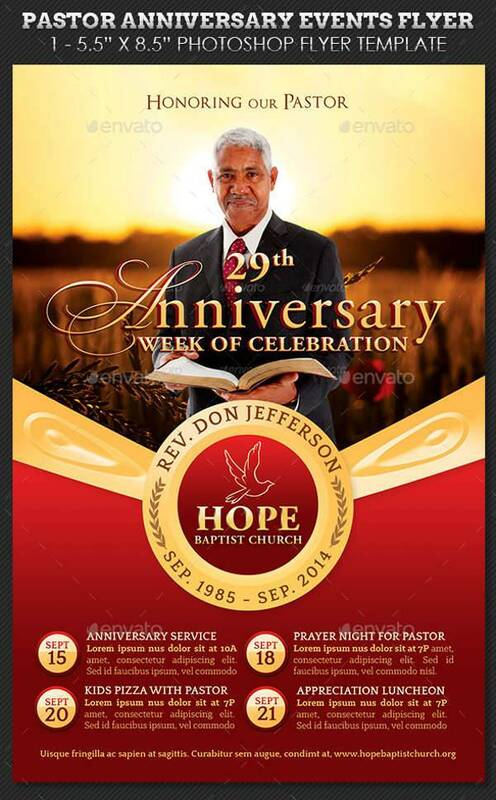 There are some elegant flyer designs that are editable and ready to print for poster, obituary advertisements or marketing purposes. Explore your options and select a design that best captures the tone of your event and audience. 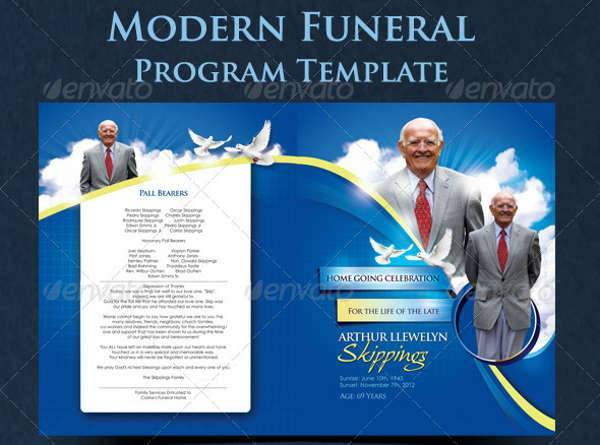 This funeral program flyer template bundle includes 3 Photoshop PSD files, measuring 17×11 inches each. The color, text and graphics are fully editable. Follow the link to download the template. 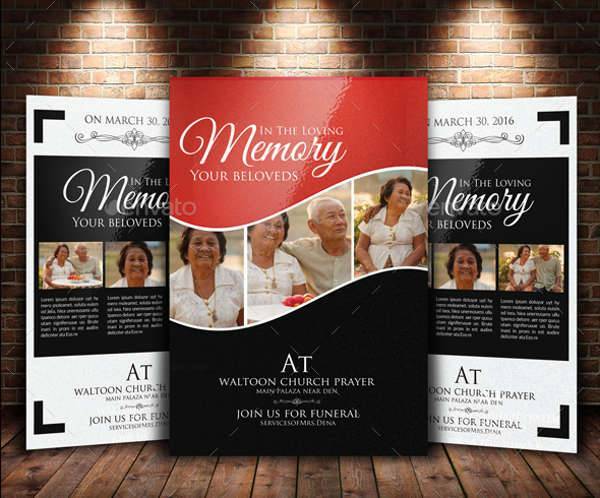 This A4 funeral flyer template has 300dpi resolution and is customizable. This print-ready template uses CMYK colors and is available as a PSD file. Visit the link to get more details. 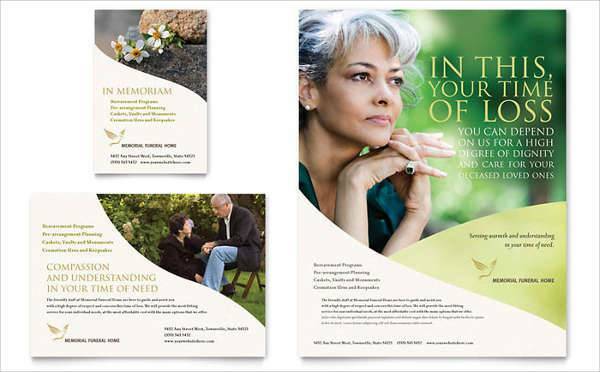 These funeral memorial flyers are suited for multiple purposes, including memorials, funerals and corporate events. These A4 templates, available is PSD formats, are fully customizable. Click the link to download. 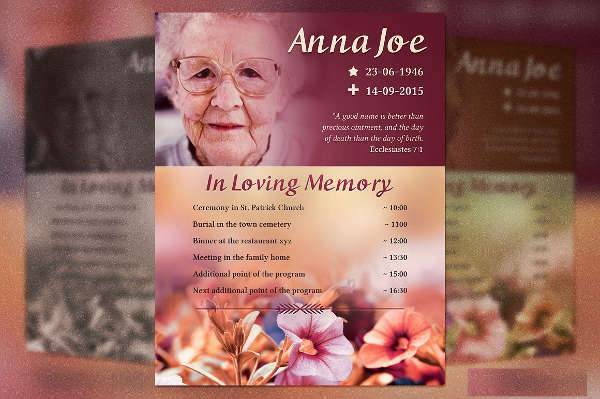 This funeral plan flyer template is a good choice for obituaries, epitaphs or funeral plans. This PSD template has US letter size dimensions. Follow the link to learn more. 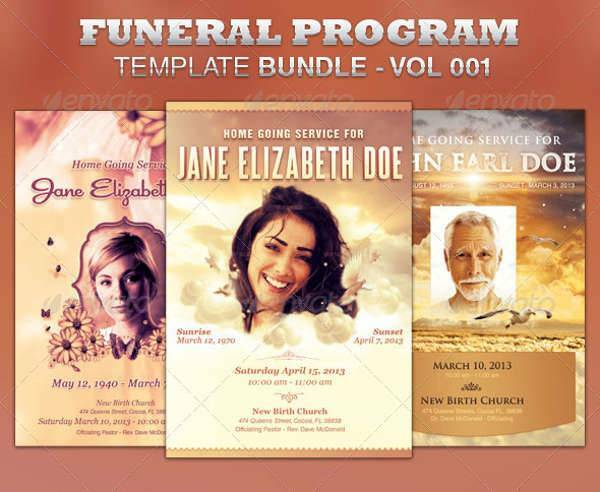 This promotional arsenal funeral flyer bundle includes 4 different templates. These are great promotional materials that offer greater productivity. Visit the link to download the PSD templates. 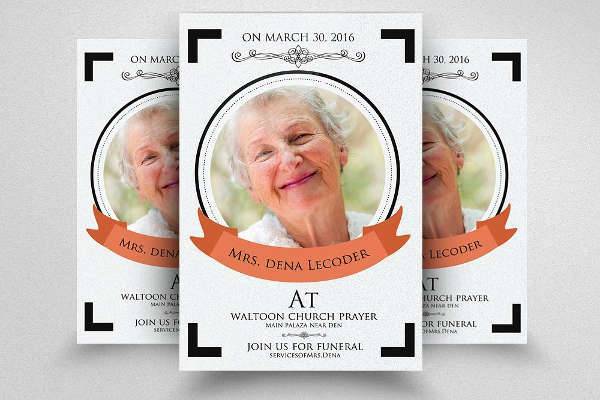 This funeral announcement flyer template pack includes 2 PSD files. 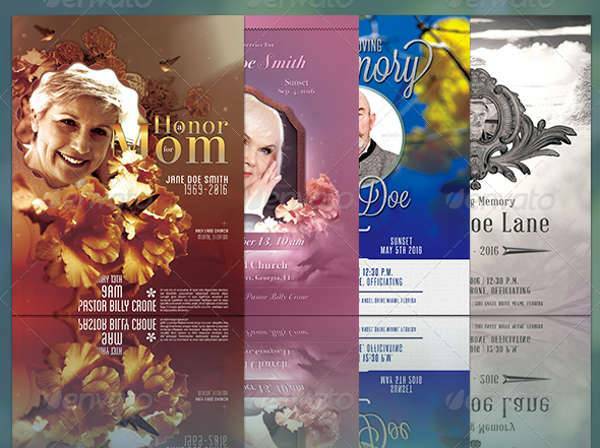 These creative templates, measuring 17×11 inches, are great choice for any funeral event. Follow the link to know more. 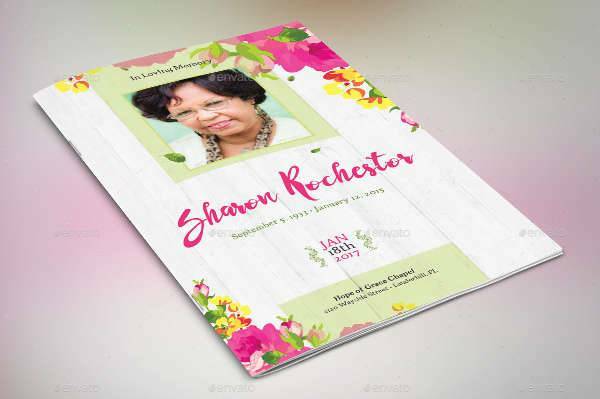 This floral funeral program flyer is crafted for funeral programs, gatherings, church events and advertisements. This print-ready PSD template measures 8.5×11 inches. Click the link to download. 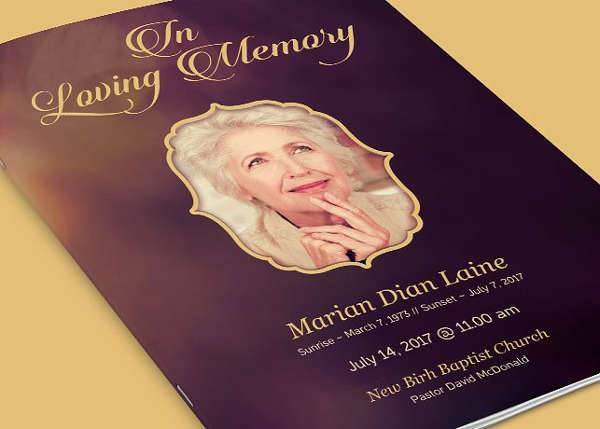 This life and legacy funeral flyer design offers multiple options for funeral or memorial programs. With Smart Objects, this PSD template is fully editable. Visit the link to know more. These were noteworthy funeral flyer design templates. Whether it is modern or vintage flyer, there are plenty of options to choose from. Flyers make funeral and memorial services more special and allows greater gathering. Use the links to observe the layouts and designs, and see what is best for your event.